Local movers are a dime a dozen in any large city in Florida, but not all moving companies are created equal! Today we want to share with you 7 things that separate Big Boys Moving and Storage from other companies! 7 Reasons Why Big Boys Moving and Storage Beat Other Local Movers! 1. You Voted Us the Best! 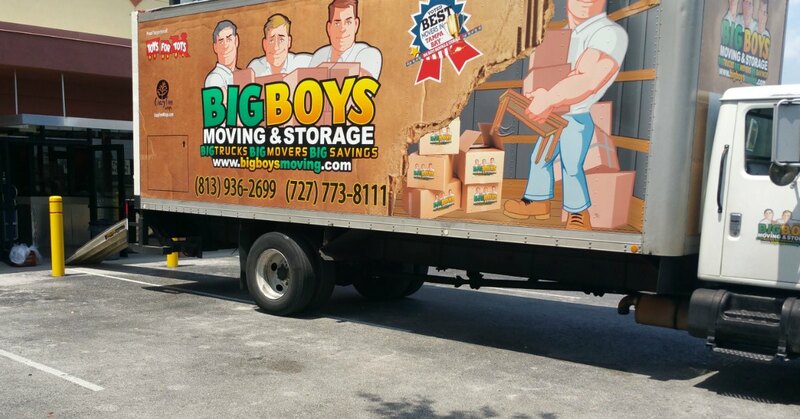 For two years running, Big Boys Moving and Storage have been voted “Best of the Bay” and for eight years running, we have been voted the best Tampa movers! We know for a fact that your other local movers can’t say that! 2. We Only Use Professional Movers! Many local movers think that they can cut costs by hiring college coeds or average Joe’s to do their moving jobs for them. Here at Big Boys Moving Company, we know that that can only lead to one outcome, and it’s not good! That’s why we only employ professional movers for every single job! 3. We Offer Affordable Prices AND Additional Savings! Not only do Big Boys Moving Company offer affordable moving prices, but on top of those prices, we always have a moving special to save you even more! Most other local movers only offer one or the other, but we LOVE a good deal! 4. We Will Store Your Stuff! Whether you are moving into an apartment that is much smaller than where you live now or whether you just can’t move into your new place right away, we can help! Unlike other local movers, Big Boys Moving Company also owns a storage facility. That means that after we box up and load up your stuff, we can take it over to our storage facility and hold onto it! No more garages stuffed with boxes or “borrowing” mom and dad’s guest bedroom to stash your stuff! 5. We Can Move Your Company Too! Many local movers “specialize” in moving services, but they shy away from corporate moves. The bigger jobs are no match for us here at Big Boys Moving Company, though! In addition to home and apartment moving services, we offer corporate moving services and have the right tools for the job. Our clients consistently provide us with five-star testimonials in reference to their moving experience with Big Boys. We can’t thank you all enough for making us who we are today and we hope to continue providing you with the 5-star service you deserve well into the future! Some local movers claim to offer “full-service” to their customers, but when asked, this service includes nothing more than loading and unloading a truck! Here at Big Boys Moving Company, we know the meaning of the term “full-service” and we’re with you from start to finish! Want to Make Big Boys Moving Your Local Movers? If you would like to see Big Boys Moving Company in action, give us a call at (727) 773-8111 or (813) 936-2699 and we’ll get started with arranging your move today!